As a parent, you will undoubtedly encounter many problems in the course of raising your kids, and one of these may be a lice infestation. With an estimated 6 to 12 million lice infestations among young children each year in America, you may want to familiarize yourself with this subject and gain some insights that you can share with your kids. 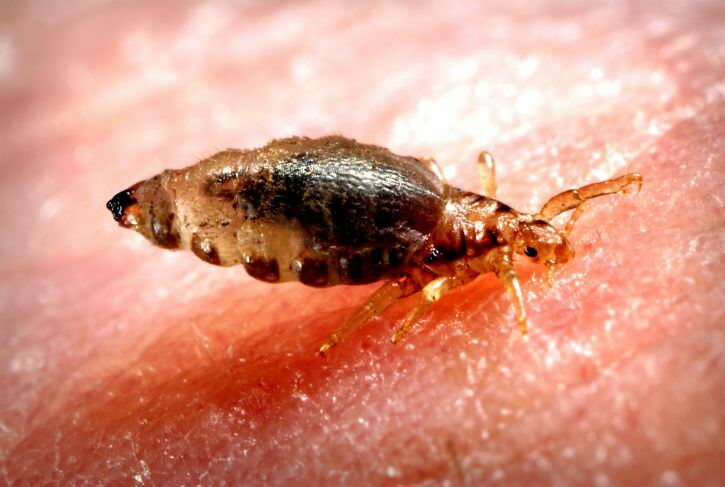 Lice are parasitic insects that are extremely tiny. At 2 to 3 millimeters in length, they’re about the size of a sesame seed. They have three stages in their growth cycle. As with any insect, they start out as eggs or what are called nits in the case of head lice. Upon hatching, they are called nymphs, and this stage lasts for about 9 to 12 days after which they are a completely grown louse. They live close to the scalp since this is where they feed off blood to sustain themselves. As a nymph or as an adult louse, these annoying pests range from a grayish white to a tan coloring. They have six little legs that are tailor made for grabbing onto human hair follicles. Fortunately, as far as how easily they can spread, they do not have wings. The nits are like very small dots that can be white, tan or brown in color, and you’ll have a hard time removing them because they’re secured to the base of hair follicles with a glue-like substance. Since lice have to crawl to spread, tell your kids to avoid direct contact between their hair and that of another child. Also, if any of your children have long hair, it’s suggested that you have them tie or braid it up, so there’s less opportunity for a hungry louse to grab on. Additionally, make sure, as a parent, that any of your children involved in sports have their own uniforms including hats or helmets, so they don’t have to share with others. If you’re fortunate enough to be a parent in the Lancaster, Pennsylvania area, you’ll be glad to know there is a great head lice removal company in your area. Our lice treatment at Lice Lifters of Lancaster is second to none. Don’t be fooled by over-the-counter products containing toxins that lice have grown immune to over the years or home remedies that are equally ineffective. When you need fast, effective, affordable lice treatment, you should call for an appointment to bring your kids in to Lice Lifters of Lancaster. One of our compassionate, certified lice technicians will check to see if lice are definitely present. If detected, we set about eradicating this problem for you with completely safe, non-toxic products and methods that get the job done in a single visit to our head lice removal company. If your kids have lice, don’t let them spend the school year scratching an itchy, red, irritated scalp when a simple and affordable solution is so close to home.